An old bit of signage in the Uptown neighborhood of New Orleans. It is currently the home of the Creole Creamery, an ice cream joint. 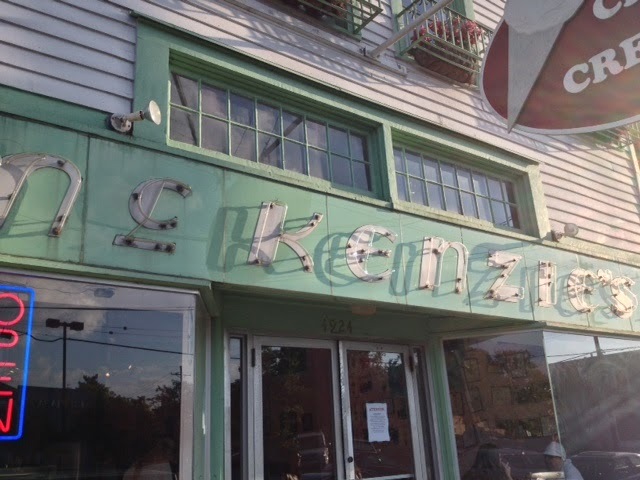 McKenzie's, founded in the 1920s, was a bakery, and a bit of a legend in NOLA. 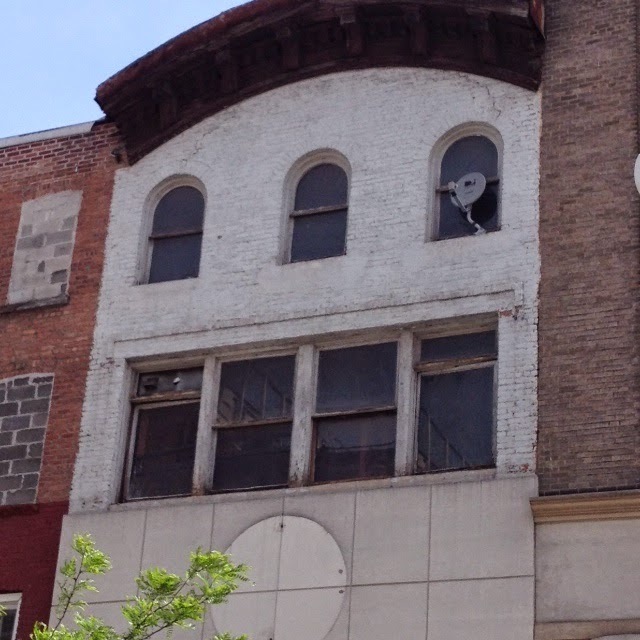 I've long been intrigued by this small trick building on Fulton Mall, largely because of its unusual, curbed cornice, which appears to be original. I've not been able to find out anything about its past life. Anyone out there known anything? Hole in the wall, bunker-like hardware store in New Orleans. Hard to believe it's in business. But it obviously is. This local juke joint in the Faubourg Marigny section of New Orleans shut down some time ago. 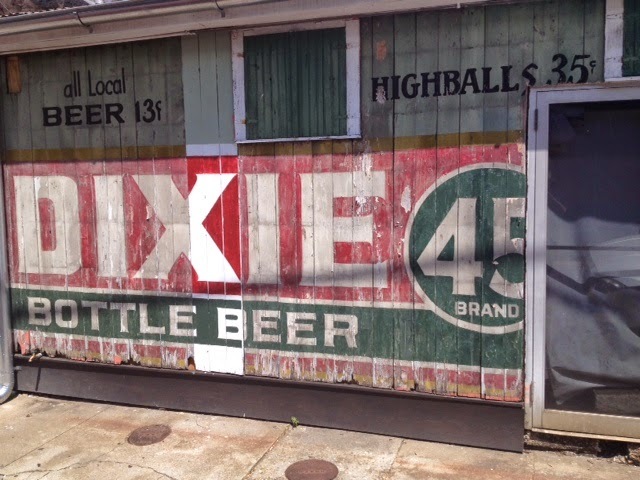 But you still have to admire the frontage, with it's huge colorful, hand-painted sign advertising Dixie Bottle Beer and 35-cent highballs. At those prices, it must have been painted in the 1950s. 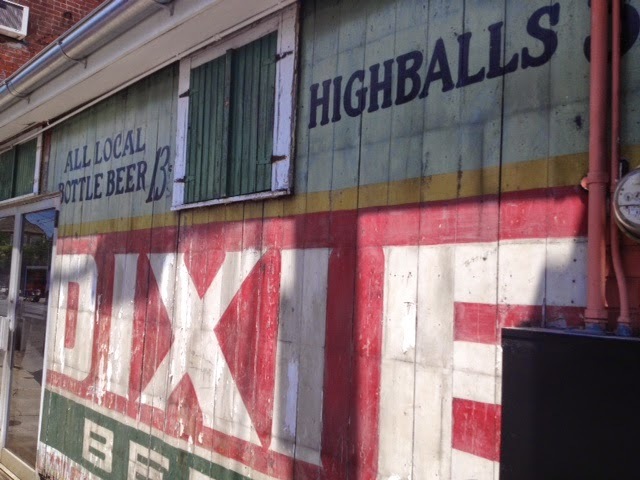 In it's original form, Dixie existed from 1907 to 1989. 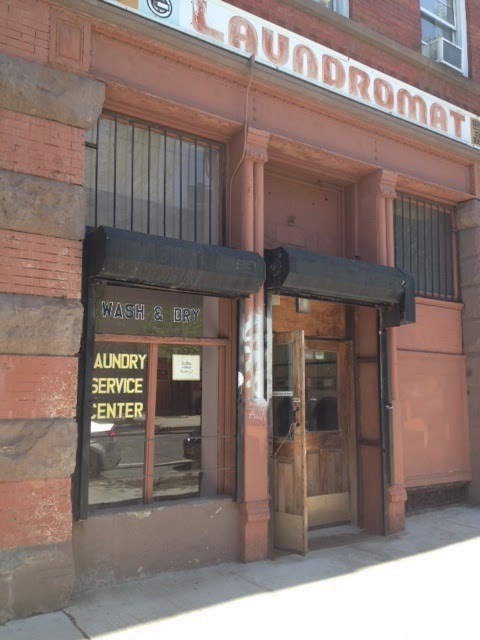 This is just a laundromat on Franklin Street in Greenpoint, Brooklyn, that I like the look of. Guess what it's called? Franklin Street Laundromat. Old painted sign. Old brick building. Old stick-on letter advertising "Prompt Service," "Drop Off Service" and "Self Service." Every kind of service! Most subway stations make you feel depressed and oppressed. They are dirty, crowded, filled with fetid air and not particularly attractive. A few raise your spirits. 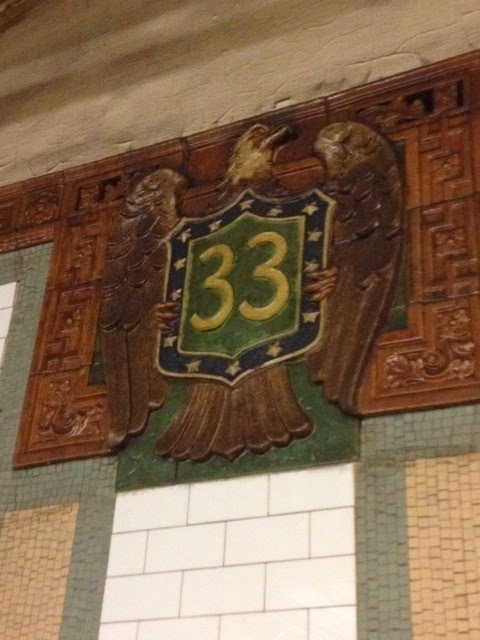 I've always liked the 33rd Street Station on the 6 line, and am always surprised by its perhaps unintentional grandiosity whenever I climb down into it. It's a very low-sitting station and you have to descend a great flight of stairs to get to it. Nothing unusual there. 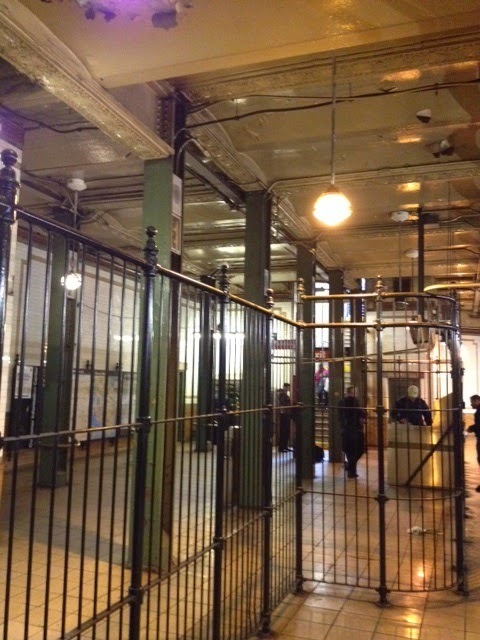 Many subway stations lie far below the sidewalk. The difference here is that at 33rd Street you don't end up in a low-ceilinged, claustrophobic box, but in a spacious airy chamber with a great sense of flow and line. An old, small building stuck amid newer, larger buildings always captures my attention. It's screams, "Another Era," "Holdover," "Survivor," "Relic" and like notions. 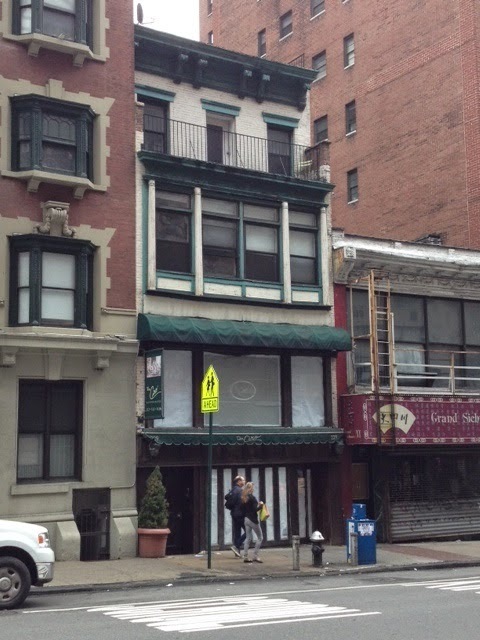 This four-story bit at 229 Lexington Avenue in Murray Hill did the trick with its recessed fourth floor and three stories of windows, indicated it once houses several different businesses. Those modest in proportions, it does stand out as an interesting piece of utilitarian architecture. And it seems to have survived intact. I've said it before, I'll say it again. 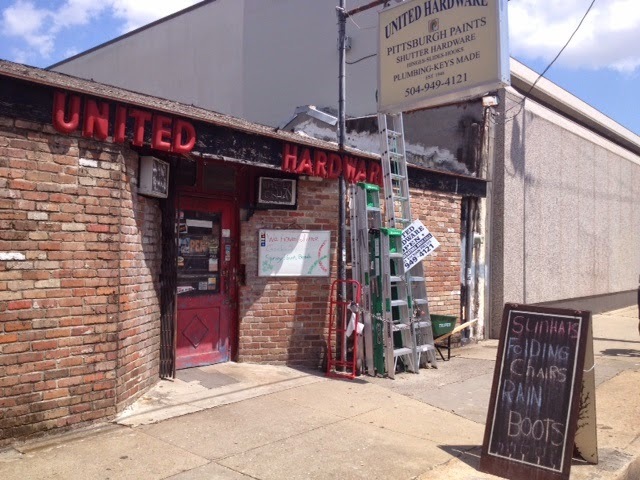 Hardware stores are some the sturdiest businesses in New York. 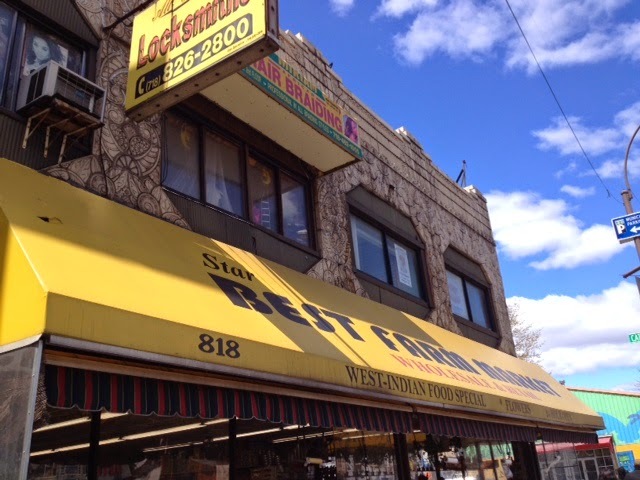 In nearly every neighborhood in New York, you'll find at least one longstanding, family-owned hardware store. They give a guy hope. 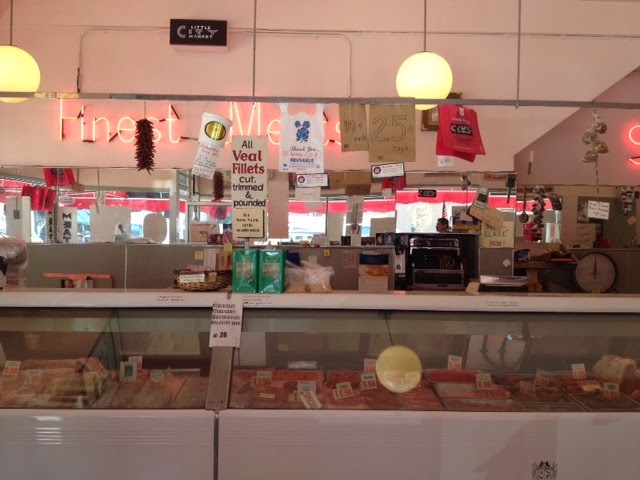 Vercesi Hardware on E. 23rd Street was one of the oldest in town—and increasingly incongruous on a major thoroughfare that had virtually nothing old about it. Sadly, it finally gave up the ghost last November. Now, it look like the building, and two others next to it, will be torn down and replaces with a 20-story condo tower. 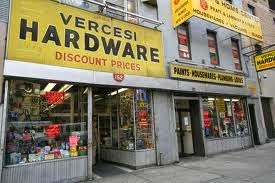 Vercesi Hardware actually wasn't a hardware store for all of its 100-year existence. It began in 1912 as a sheet music store. 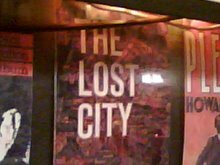 (Tin Pan Alley was nearby.) Then, it was a radio and television store during the 1930s. It only began to sell hardware and housewares beginning in 1960. There's adaptability for you. 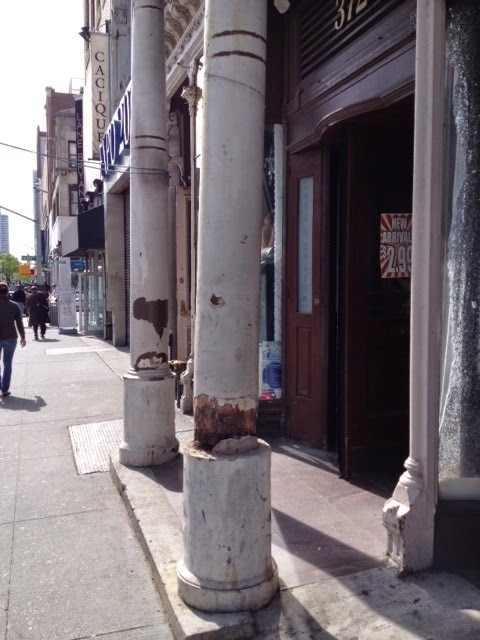 Here's a bit of downtown Brooklyn that feels likes its remained unchanged since the 1950s. 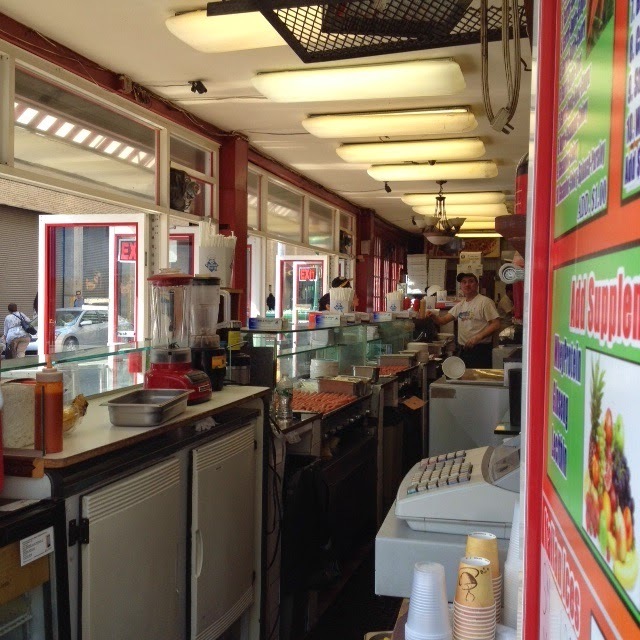 Actually, the business as we see it today, run by Tariq Khan and Anwar “Sha” Shazad, has been here at Fulton Street and Elm Place since 1982. 32 years—nothing to sneeze at. 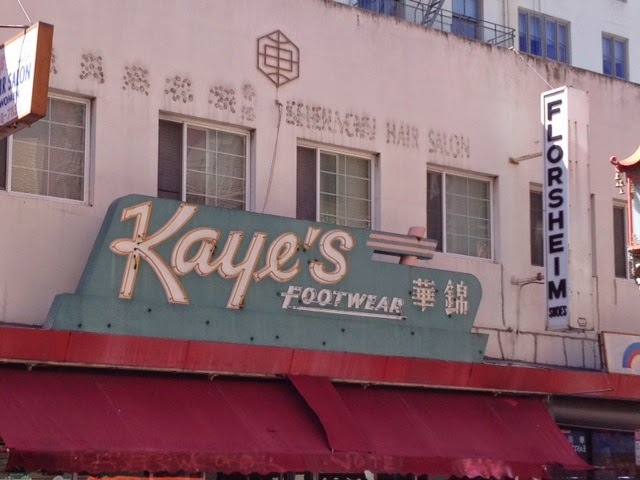 The reason it looks so old is the owners recently gave the place a makeover that restore some of the signage to the state it was in the 1950s. 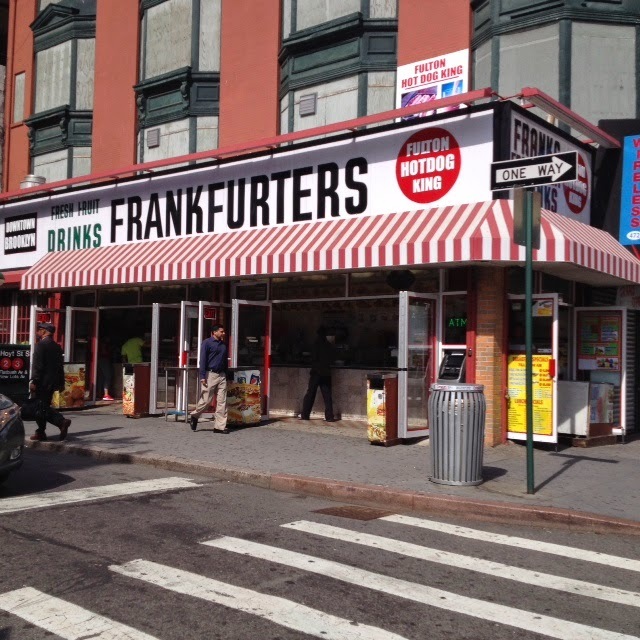 Hence, the red and white striped awning and huge sign saying "Frankfurters." 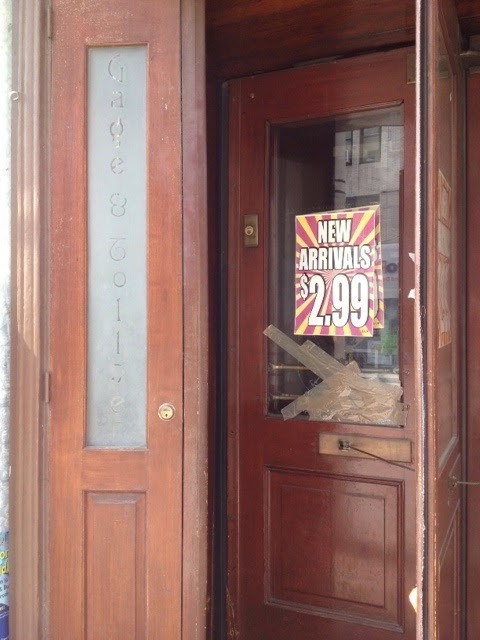 According to the owners, they have records going back a century of an eatery of some sort existing here. It's a welcome site, as it. Long narrow lunch counters such as this, in which the all-glass exteriors were completely open to street traffic, used to be common sights in New York, especially around Times Square. You go in, grab a dog, pay $1, and you're on your way. 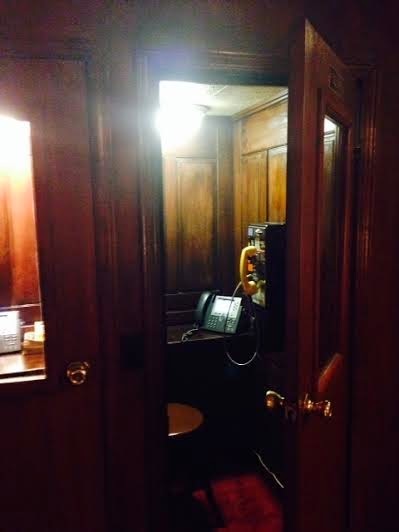 Convenience, New York style. 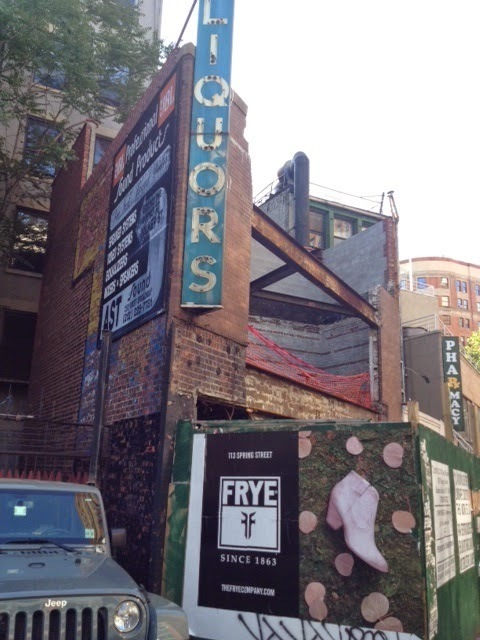 Noticed this gutted liquor store on an oddly shaped plot on Sixth Avenue between Walker and White, in Tribeca. This used to be the Brite Buy Liquor Store. 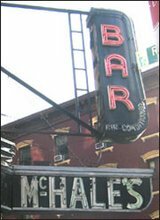 It was a two-story building that stretch from this corner you see to the Tribeca Tavern next door. It wasn't anything to look at. Just a down-scale liquor story. But one of the last vestiges of a non-rarified Tribeca. The owners are turning the site into a restaurant. I guess they'll take the liquor sign down last. Those big neon signs are tough mothers to rip down. 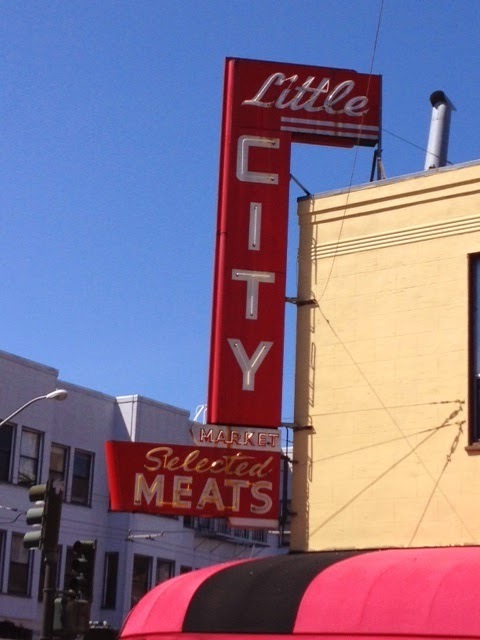 Little City Market is a butcher in the North Beach section of San Francisco. It's been in the Spinali family for three generations. The neon signs inside are just as good as the ones outside. The Gage & Tollner building was once a thing a beauty—the only thing of beauty, in fact, on Fulton Street in downtown Brooklyn for decades. Now, it is an eyesore. 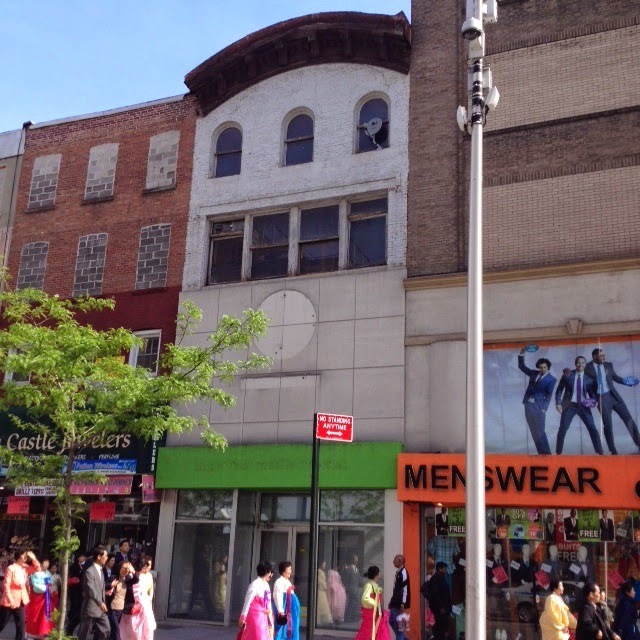 This building on the corner of Flatbush Avenue and Caton Avenue made me stop in my tracks. The facade seemed needlessly ornate and rococo. It reminded me of the old, long, one-story buildings you see here and there in the city that used to be the homes of Child's restaurants. For a moment I thought that this address itself might have been a Child's at one point. A little research proved that theory wrong. Just as it is today, this structure was originally chopped up into various assorted businesses. In 1944, there was a poultry and egg shop here, a florist and a place offering electrolysis. And a few offices on the second floor. But the main operation, occupying the corner space, was a store called Flora Mir.